If you are looking to unwind in an undisrupted tropical paradise that still isn’t overrun with tourists, then look no further than booking your holidays in Lombok. Often described as “Bali as it once was”, a visit to Lombok is a great way to experience all the magic of its bigger sibling while staying relatively sheltered from the crowds. Pink Beach, a stunning getaway nestled in the southeastern part of the island, got its name from the vibrant color of the sand. Other than being a beautiful feat of nature, Pink Beach is also a great spot for snorkeling. 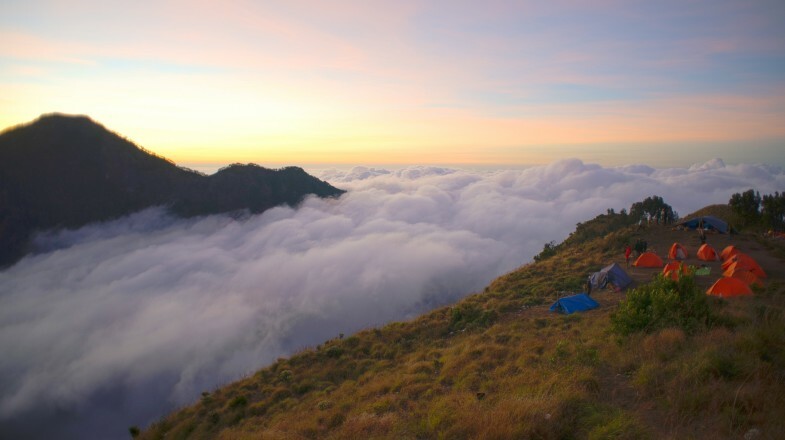 Gunung Rinjani National Park is a trekking paradise, in which you’ll get a chance to see colorful wildlife, luscious vegetation, crater lakes and dozens of hidden villages. The crown jewel of the park is Mount Rinjani, the second highest volcano in Indonesia. Gili Islands are located just off the northeastern coast of Lombok. The waters surrounding the islets are home to some of the most colorful aquamarine life, making them an ideal spot for diving enthusiasts. Pura Lingsar is the most important religious site on the island. The temple is an enchanting blend of Hinduism and Wetu Telu, religion practiced by local Sasak people. Lombok is one of the prime destinations for surfers. If you are looking to ride the waves, the best place to do so is one of the beaches located around the town of Kuta. While in Lombok, make sure to treat your palate with a local delicacy, ayam taliwang, grilled chicken infused with spicy garlic sauce. Fishing is one of the most popular tourist activities in Lombok. If you’d like to try your hand at it, inquire about booking a tour that will take you on a day-trip aboard the perahu, Lombok’s traditional fishing boat.